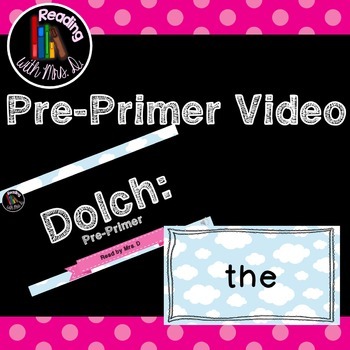 This Dolch Pre-Primer video contains all 40 pre-primer Dolch Sight words read in 3 second spaces. Each word is said with enough time left for the students to look at the word and repeat it chorally together. Just put this video up on your screen when you have 3 minutes to fill and want to give your Pre-Kindergarten to first grade students extra time to practice their sight words.